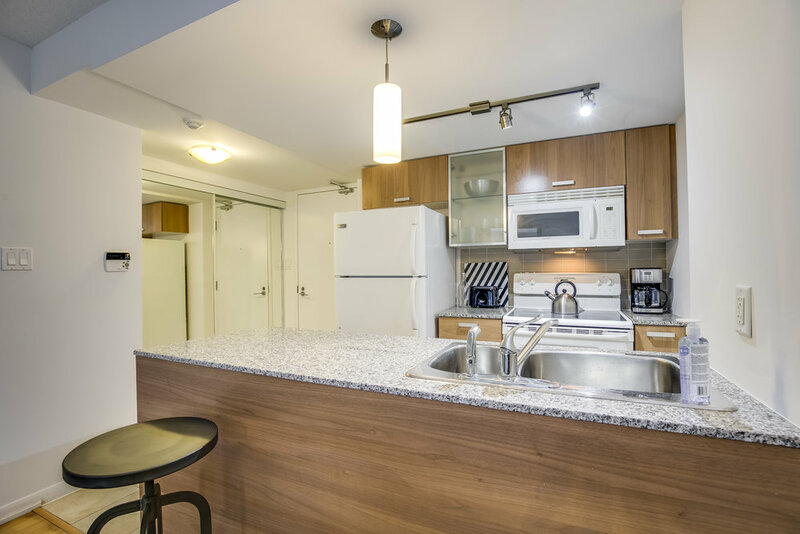 A stylish 1 Bedroom, newly furnished apartment in Toronto , near all the hospitals, and College and Yonge St. Short term rentals available. Request The College Furnished Condo. We will contact you shortly about next steps! Located near all the downtown hospitals, walking distance to Toronto General Hospital, Women’s College Hospital and Mt Sinai Hospital. 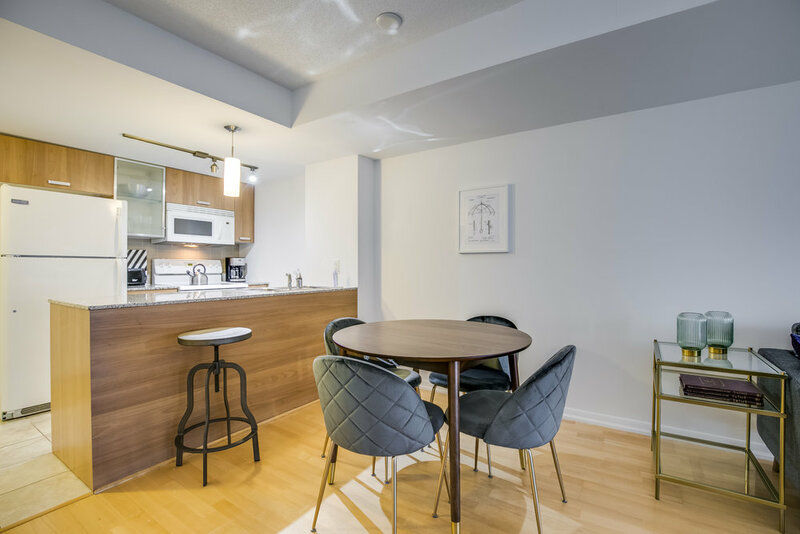 In this stylish furnished apartment you can enjoy the bright open concept layout of this exquisite furnished apartment Toronto suite has to offer, along with the large balcony facing onto a quiet street. 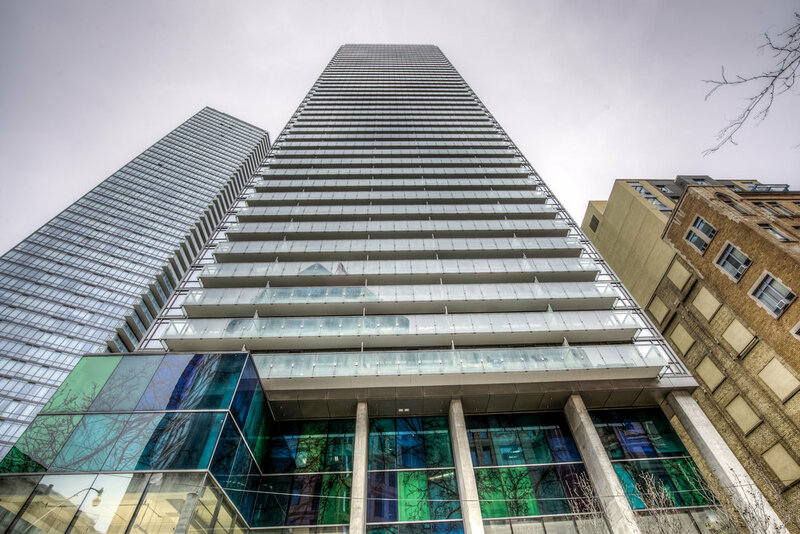 It is located in an extremely convenient location in downtown Toronto near Yonge and College Street. 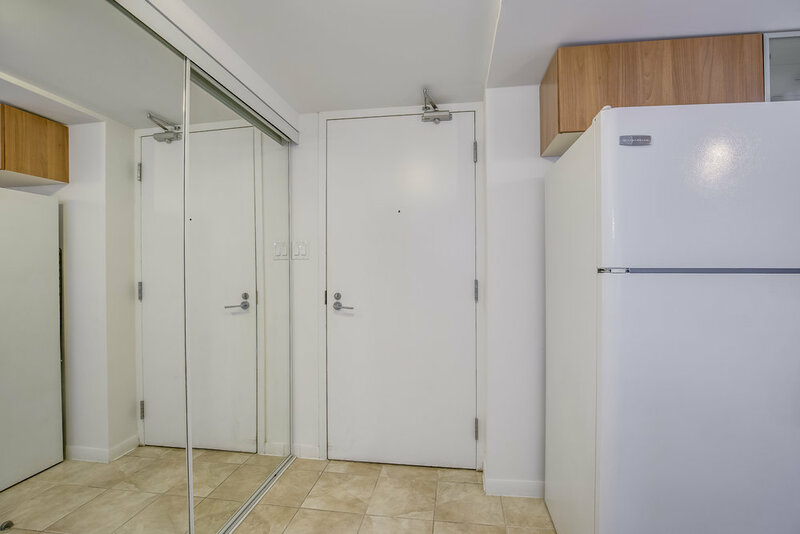 This exquisite 1 Bedroom has been newly furnished, and is approximately 600 square feet with a balcony. 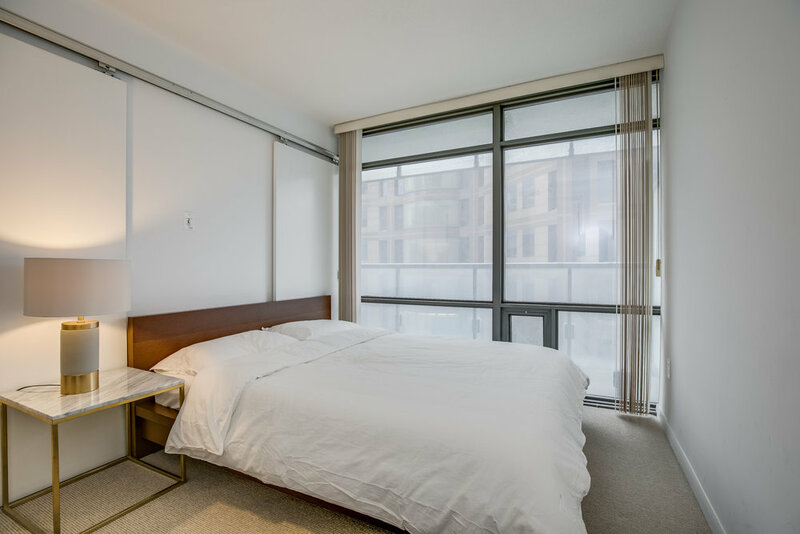 This spacious and modern suite is part of our exclusive Mid-town Furnished Apartments Toronto Collection. 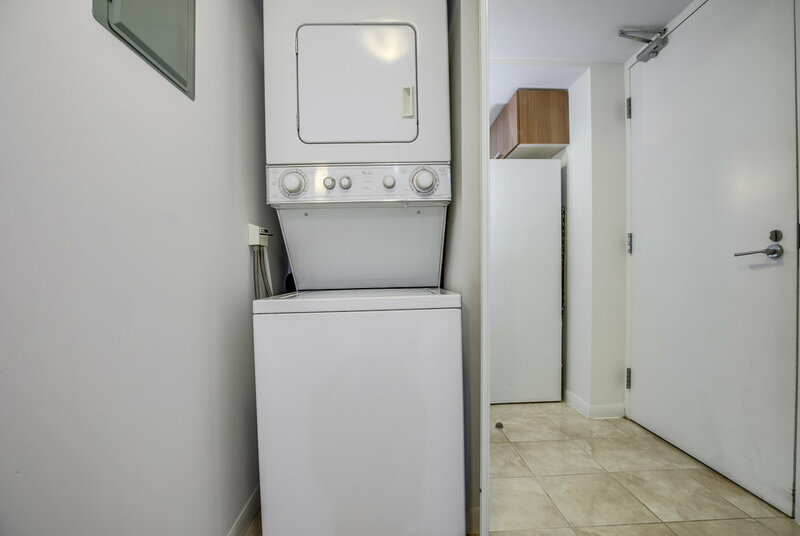 The condo building offers premium facilities including a full gym and swimming pool, a rare feature in Toronto. The TTC street car station is right at the corner of Bay and College Street and the Subway Station is a 2 minute walk away at the corner of Yonge and College Street. Modern maple hardwood floors are throughout the furnished short term rental and comfortable carpet in the bedroom. Blinds ensure that you can get a good night sleep every night. The comfortable sofa provides the ideal relaxation space, and the large Smart TV provides lots of entertainment options. A parking space is available upon request at an additional fee. Lease start dates are flexible. Exit cleaning fee of $110 applies. Building facilities: Full gym and swimming pool. Request The College Furnished Apartment. We will contact you shortly about next steps!